Sony-Ericsson Chooses Android Over Symbian: So What? Although Sony Ericsson has used Symbian in the past and does make solid handsets, the company is a relatively small player in the worldwide smartphone market, and it becomes an even smaller player as time passes. Recent worldwide market share numbers from Gartner show Sony Ericsson’s share of the smartphone market has dropped to 3.4 percent in the second quarter of 2010, down from 4.7 percent in the same quarter a year prior. No new Symbian products from SE may add slightly little more pressure to the overall market share of Symbian devices, which Gartner pegged at 34.2 percent in the same report, but won’t halt any momentum Nokia is building with its new platform and devices. Sony Ericsson may find temporarily relief by embracing Android, but only because the company’s significance in smartphones is fading, and there’s no guarantee the company will benefit as much as others have by using Android, either. 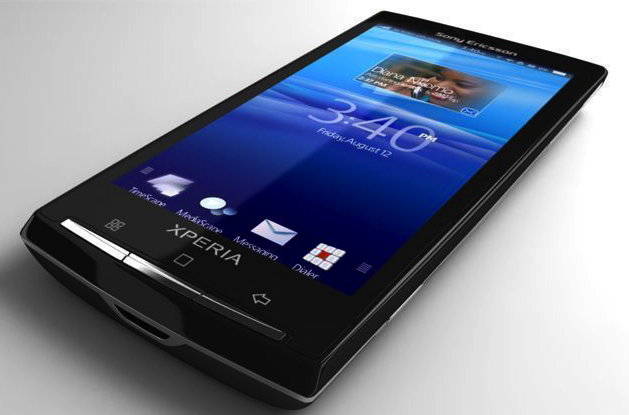 Earlier Android handsets such as the Xperia X10 initially looked stellar when it came to the user interface and hardware shown off in 2009, but are hampered by older versions of Android, which don’t compete well against handsets using the latest and greatest version of Google’s platform. Maybe by focusing solely on Android, Sony Ericsson can get software updates out faster and thus gain more relevance. Just last week, the company announced a delay of Android 2.1 for the X10, a phone that launched last year and still runs on a lowly version of Android 1.6. By the time X10 owners get Android 2.1, many other handsets will have already seen 2.2. Indeed, watching another company defect to the Android army isn’t good for Nokia, but it’s more of a moral defeat than a material one. Indeed, I’d think the relatively slower pace of Symbian maturity would better suit Sony Ericsson as opposed to the faster-moving Android platform. Sony Ericsson should immediately stop customizing Android. Stop putting its own UI ‘skin’ on top. Stop putting extra software on it. This is what is slowing the Android update process down. The lingering of older Android OSes will cost more sales than the customization will win. So the customization is currently costing handset sales. It would be a different situation if Sony Ericsson could customize fast and release handsets with the latest Android in a timely manner. Sony Ericcson has a time to market problem. Their product cycles are way too slow. HTC has a product cycle of about 9 months now (fron 1 generation to the next, not counting the small variation in models). Sony Ericcson’s product cycle must be at least 50% bigger. If they don’t this ASAP, their phones will never seem high end when they come to market, even if when they started they were supposed to be high end ones. Kevin C. Tofel has no clue – so what? Kevin you are probably the only person on this planet that manages to discover Nokia having “momentum … with its new platform and devices”, except for the desperate people who work there of course. Whining about Android Version numbers here makes no sense either. I guess you can’t even name the differences. What feature is it exactly that you personally find lacking from an Android 1.6 device? And if so, like in every other area of tech the solution is pretty simple: if you need the latest and glitziest then _simply buy_ a high-end device with Android 2.2, if you simply want a mid-price smartphone that puts all Nokias “new momentum stuff” to shame you can safely take a 1.6 device. Most people don’t even care, they want functionality, apps and choice. Having said that, yes, I can name the differences between the various Android versions. I dumped both the Palm Pre and Apple iPhone 3GS for a Google Nexus One in January. The hardware and Android 2.1 sold me on it. And I’ve been using 2.2 since May on a daily basis. Hi Kevin, I responded to your article as it stood alone, i.e. out of context of other articles. Still you were bashing one company for not upgrading their Android phone and painting a rosy picture for the failing finns at the same time. Nokia has failed big on the smartphone sector, and seems to given up in the U.S. Despite this their leading figures continue to issue arrogant statements exactly like they did about the iPhone not so long ago. They have not learned a single thing. The second point is about Android. It is not intended as a monoculture. There are and will be a lot of devices with different specs and capabilities. As I pointed out it makes no sense (technically) to update each and every model to the latest Android version. In some cases you can’t. In some cases you shouldn’t. I agree that mobile hotspot, sd card install and other 2.2. features are insanely valuable for some people. Others will never need it, want it or even know that such a thing exists. It is a matter of consumer choice. In my opinion, Sony Ericsson did a great move to ditch Symbian and move to Android; we’ll see more from them and I am shure you will be able to get a 2.2 device from SE. If not, we will be able choose another brand. Good points too, as mainstream consumers aren’t up on what features are in which version of Android, although we’re finally approaching the point where 75% of Android handsets hitting the Market are on v2.0 or better. And my issue with the X10 is that even with comparable hardware to other current devices, it still lags in functionality. My guess is that SE is taking a while to port it’s custom UI – which is gorgeous, BTW. That must be why Android outsells Symbian outside the US then? Tell you what, Roger, given that one of the reasons people are buying HTC and Samsung handsets (not Android, no-one really cares about the OS, not really) is because there haven’t been any high end Nokia touchscreens, what do you think happens to them now there are? Here’s a clue: look what happened when HTC and Huawei tried to compete in the low to mid tier market with the Tattoo and Pulse. Go on compare the sales numbers for them against the 5xxx series from Nokia. It’s interesting reading. why don’t you sell your shares instead of clinging to desperate theories? Does anybody really think Nokia will be able to change the game just because they finally managed to get a touchscreen working? The working-touchscreen-theory. So Nokia is safe now. Wow. While we are at the topic of interesting reading, try to understand that nobody is interested in comparing current figures (especially not restricted to areas where you think they back up your argument). Business decisions are made about development and future projections. You look at curves, not at point data. You will be able to find a couple of those – show me one that gives a positive forecast for Nokia. Finally, their top executives are not leaving the ship because of their blazing success in the 5xxx area in low tier markets outside of the US. Everybody watching the market including each and every analyst out there is reporting that Nokia has lost market share and will continue to do so. Your high-end touchscreen won’t save them. Well Eric, you would have a point if Symbian didn’t have the biggest developer community in the world, Ovi didn’t get 2 million downloads a day (plus whatever GetJar and all the other repositories generate) and the S^3 UI hadn’t been redesigned. But they have so you don’t. As for the RAZR, indeed. That’s why you’re going to see Apple diversify the iPhone quite soon. Having being a customer with phones right from the T630 to the P990I and now the X1 , I must say that a lack of actual understanding the current feature set, and actual requirement of SE PDA loyalists, is going to be the downfall for SE. I started out with the P910, and am currently dragging around the typical iPhones and a Dell Streak. SE has always been slow to upgrade, and the high-end costs have never created the Apple-like effect that SE desired. I probably wouldn’t tie myself to an OS that offers no differentiation between my products and the much cheaper Chinese manufactured clones that will come out. SE failed to complete with Nokia using Symbian and will fail to compete against ZTE and others using Android. This isn’t about the OS, this is about a company that’s lost using one OS and is set to lose using another. Well Apple was losing too back in the old late 90s, then they improved, companies do come back from the dead you know. By the way I am pretty sure 90 percent consumers don’t even know what is android or iOS. You would rather make phones not even competent with Chinese ones, I hear Nokia is hiring, please apply over there. If you were losing market share and were using 2 operating systems, one of which was losing market share as well, while the other was the fastest growing OS in the world; what would you do? Sony-Ericcson may be a small player, but they’re putting their money on the pony that has pulled into the lead.